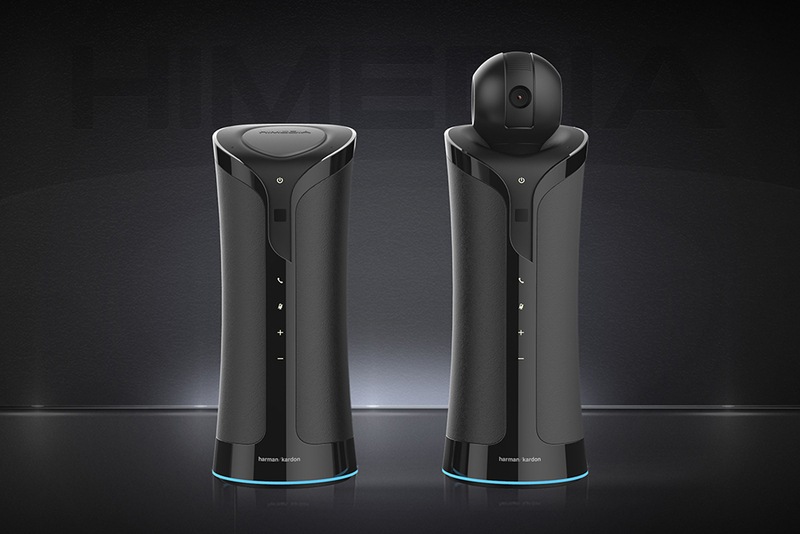 Update 1 - Himedia launched the device in China under the name "AV Robot". All details are here. Currently Himedia is having a big teasing campaign for their new device, showing each day an important feature. 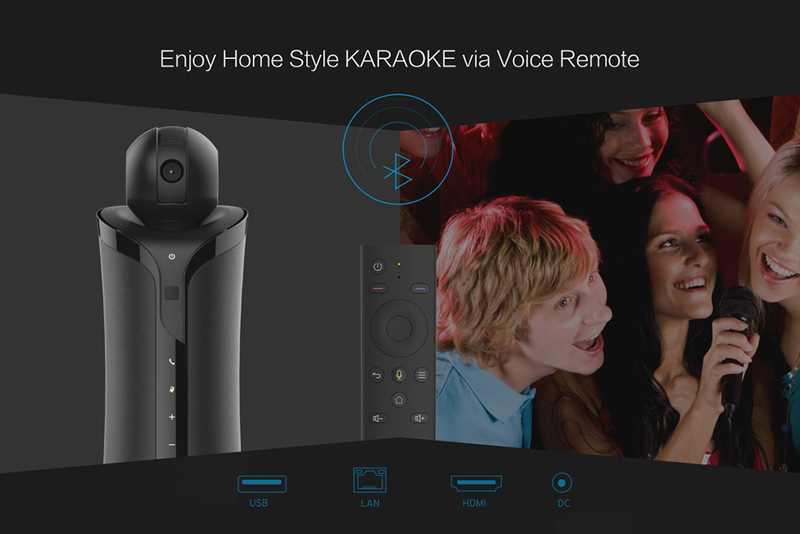 The Himedia V3C is due to be launched early next year, but somehow the details for the product made their way to the Eyalo blog beforehand. 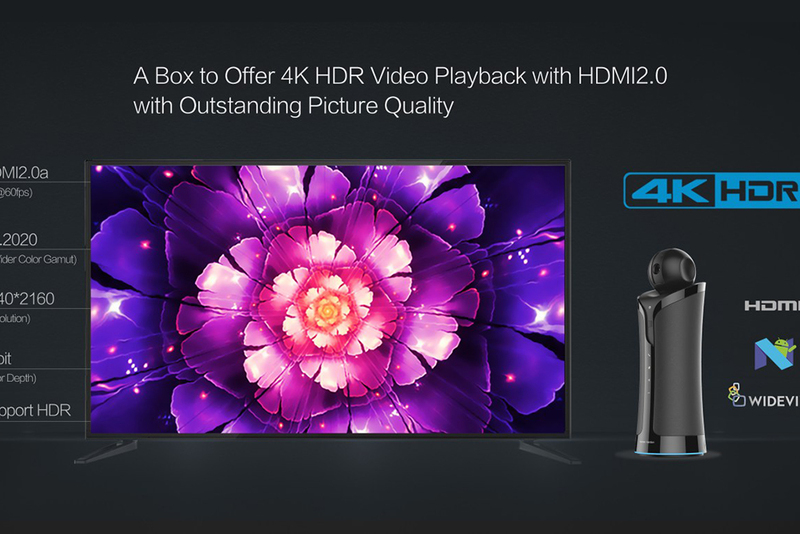 Himedia V3C is taking a new approach, distancing itself quite a bit from the standard Mini PC/TV Boxes we usually announce here - even other Himedia products. The new Himedia V3C comes with dual speakers (2 x 7.5W Harman Kardon) and dual Sisonic microphones, for - you guessed it - voice commands! 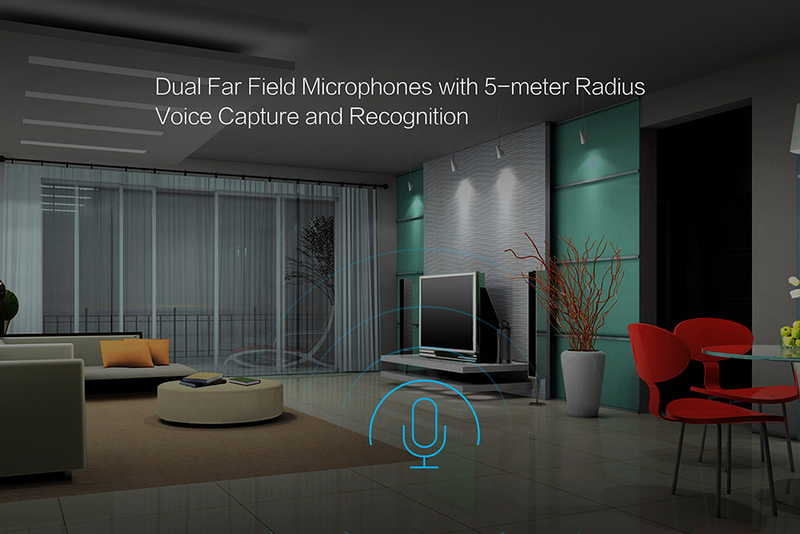 The dual far-field microphones allows the V3C to capture and recognize voice from a 5 meter radius. 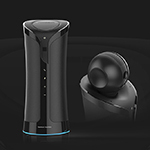 Having the Alexa Voice Service in your home means that you could take advantage of the entire ecosystem that comes with it: you can do as little as requesting it to play a certain movie or to go as far as dim the lights, close the curtains, play songs, turn on or off any device - pretty much anything you can think of. 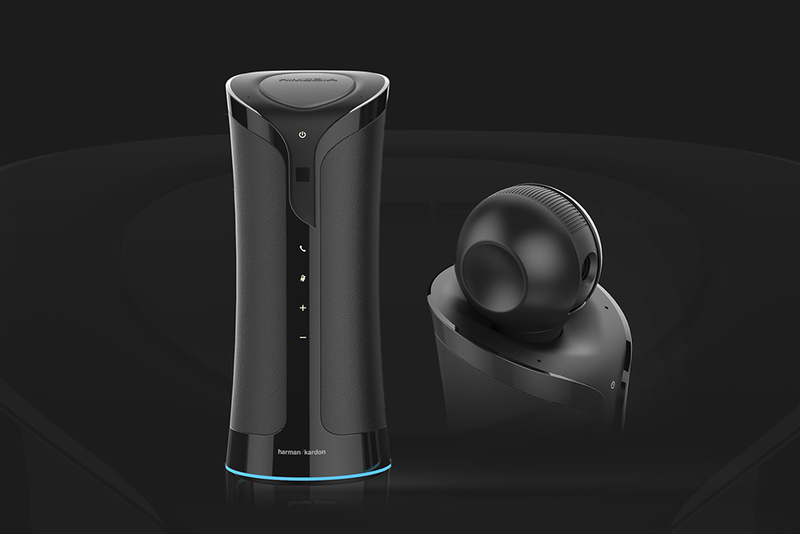 The device comes with the Harman Kardon logo, so you also get a good bluetooth speaker. 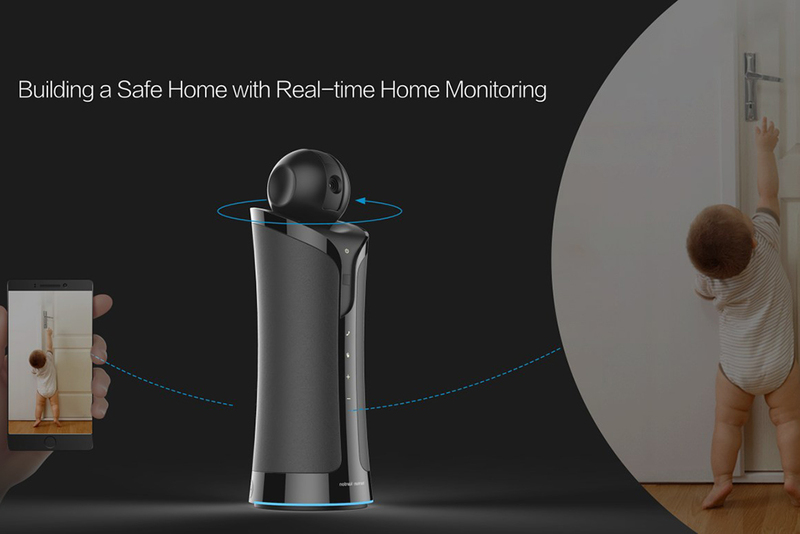 But you can also use the 2MP Sony 1080p camera to jumpstart your smart home. Price and availability are unknown yet, we will update this article as soon as we learn more from Himedia.